Music is the food to the soul, as it helps sooth and relief it. When you listen to music, you tend to feel happy and relaxed. You cannot underestimate the power and importance of music. Hence, you won’t be surprised to see people having different music on their gadgets as a result of the gains attached to it. There are songs that would be on your iPhone and not on your computer system. You might be wondering how you can be able to transfer these songs from your iPhone to your computer system. Well, the good news is that you can easily transfer those wonderful songs to your computer and experience unending fun. iExplorer is regarded as the ultimate iPhone manager. It is used in transferring music, photos, messages, files and every other thing from an apple device to a computer system. You can use iExplorer to search for and preview different songs and copy them to iTunes. You can also use iExplorer to rebuild your playlist. 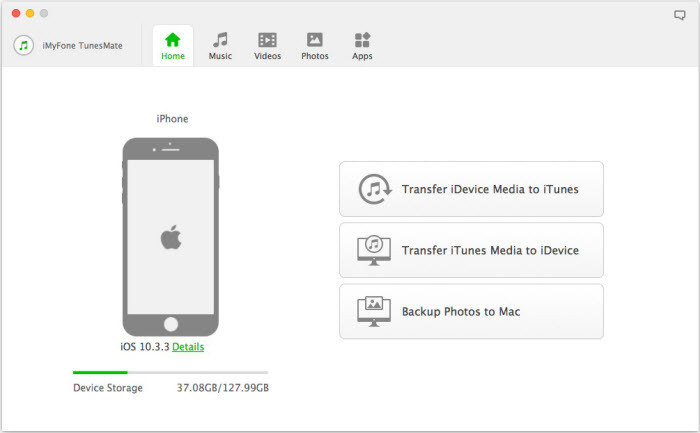 It transfers music, photos, messages and files from iPad, iPod, iPhone or iTunes backup to your computer. It is lightweight and faster and more efficient. You can use it to rebuild your entire playlist. It exports iPhone text messages. It takes time to commit some user commands and afterwards hangs. Sometimes, it freezes and leaves users with no other option but to terminate the process. It is expensive, considering the fact that other similar software offers the same features for free or a lesser sum. It’s free to make iExplorer 4.x updates. That means the update is limited to some newer versions. It’s unable to transfer or make ringtones for your iPhone. Going by the review of iExplorer, you can decide to opt in for another option. In fact, it is advisable for you to opt in for an alternative that would provide a more quality, efficient and reliable experience. The best alternative to iExplorer is iMyFone TunesMate. iMyFone TunesMate is a software that helps you transfer media files between your iOS device and your computer/iTunes. It acts as a link between your iPod/iPad/iPhone and personal computer without any syncing issues. When you use iMyFone TunesMate, you would enjoy your favorite songs any day, anytime. iMyFone TunesMate can be used to transfer videos between iPhone and computer. You can organize your videos, movies, funny clips, TV shows, home videos etc. The software is also helpful in managing photos and uninstalling apps on your iPhone. Manage ringtones: convert any song to ringtone, freely transfer tones between iPhone and computer, etc. Take full control of your media library: import, export, backup, delete, transfer, etc. It’s compatible with all iOS versions and devices, including iOS 12 and iPhone XR/XS (Max). You can use it to easily transfer various files from your iPhone to your computer system. You can use it to restore your iTunes library by copying your files from your iPod/iPad/iPhone. You can use it to merge your iTunes library. It ensures you can share your phone media and iTunes library with friends and family, even with different Apple IDs. 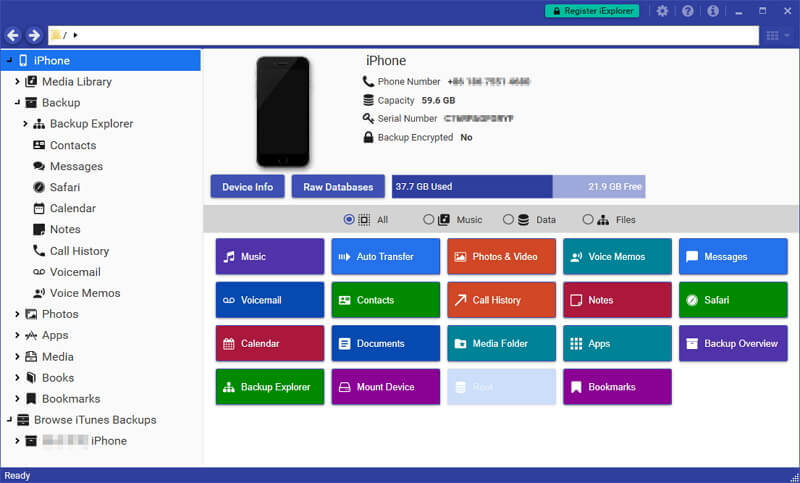 iFunbox is a software that explores and browses iPhone, iPod and iPad touch file system. You can use iFunbox to manage your iPhone data like videos, Apps, music with/without jail breaking. It can import and export data like photos, videos, music etc in iOS gadgets. It can serve as an App store. 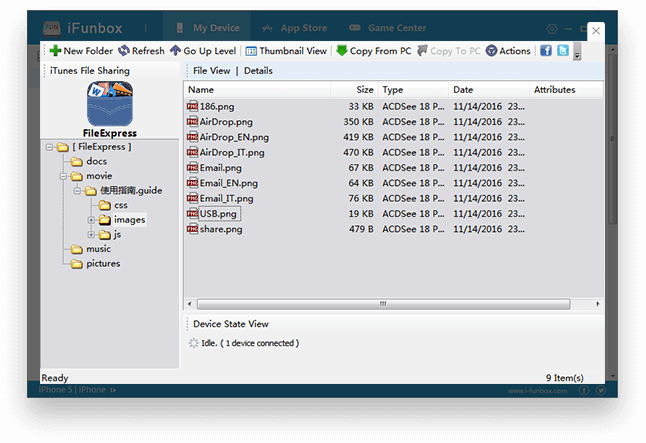 It can access iOS root file system in jailbroken iOS gadgets. It turns iOS gadgets to USB. There are times when iFunbox will not connect to iTunes library. Some users have complained about experiencing permission issues while using the software. The software is not a wise choice if you just want to transfer music between your iPhone and computer. This is because it possess difficult and multiple features. Its user interface is in old style. How Much Does TunesGo Cost? Can You Get a Cheaper and Better Option?